My love of real estate started when I purchased my first property at 19 and ever since then I have maintained awareness of the property market. Houses differ just as people's needs do, match the two together perfectly and the result is a dream come true. I am proud to be working alongside the very professional team at Clearwater Real Estate & Bermagui Real Estate. When I'm not immersed in the exciting world of real estate, my time is spent boating, fishing, camping in the great outdoors, playing tennis, going to the footy and being involved in community events. I would love to be welcomed into your home for an honest appraisal of your property's worth and would be delighted to answer any questions you have about the current market and what that could mean for you. 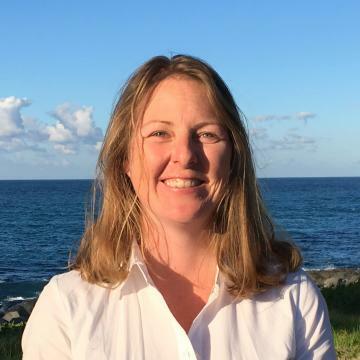 If you are looking to buy your first home, downsize or finally purchase your dream home anywhere north of Bodalla I am your local property expert. Along with the team at Clearwater Real Estate Moruya & Narooma, I endeavour to bring transparency to buying and selling real estate and work tirelessly to secure the best outcome for my vendors. Selling can often be a daunting process, but with the right help and by keeping the communication channels open, there is no reason why this shouldn't be just another one of life’s exciting chapters. 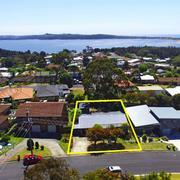 Tuross Head is my home town so I can certainly convey my love of the area to potential buyers who may live a long way from here. "Cordeaux" - This stunning property presents an outstanding lifestyle opportunity and is perfectly located in a private and highly desirable location. A sweeping drive from the entrance of this property leads you to the magnificent quality built home positioned on manicured lawns, overlooking the easy-care acreage with impressive extensive mountain views and cooling summer breezes. 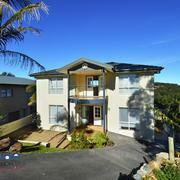 Contact exclusive selling agent Sam Sheather on 0478 004 088 for a private showing. "Bahira" - Situated in the sought after "Meadows Estate” at Bergalia, is this near new bungalow style home with a separate studio or second bedroom for visitors. Studio: An ideal space for those working from home, teenage retreat or for someone who has artistic flair and needs space for their painting or crafts. The room is spacious and has enough room for guests. Workshop: Separate lockable area complete with carport. "Golpari" - Location, quietness and the beauty of the surrounding bushland makes this property something special. The Land: Near level 3.33 hectares (8.22 acres approx) with a building entitlement which has been pegged out. Numerous shade trees have been left in their natural state. Wildlife: An amazing amount of wildlife visit the property, including kangaroos, wallabies, many different species of birds and the occasional echidna. "Lyneth" - Situated in a quiet picturesque location in Congo, is this modern single level home on two hectares with four bedrooms, two bathrooms and a very large shed. Entertaining: Indoor or Outdoor - This home has been designed around entertaining for family and friends. The interior dining/lounge area is spacious and the deck would be ideal for the largest of family gatherings. Overall: This property is in a quiet, conveniently location and is set up for partial self-sufficiency. "Naveen" - 28 Acres of natural beauty. Surrounded by 100s of acres of natural bushland and with amazing mountain vistas, this property certainly offers the serenity that is often sought but seldom found. 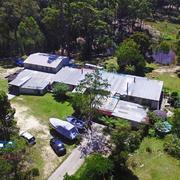 A self-sufficient lifestyle and yet only minutes’ drive from Moruya. A causal walk will take you to the spectacular Deua National Park and river where you can have a picnic, a swim or relax and enjoy the quietness of the area. Here is a chance for you to own your own piece of vacant land in the sought after area of Bingie/Meringo, close to Moruya. 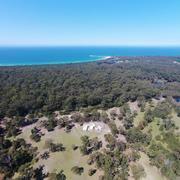 A short distance from the surf at Meringo and only a few minutes to the Princes Highway and a further ten minutes into the Moruya shopping centre. Land Use 1: Vacant Urban Land Zoning: Non Urban 2.48 hectares - 6.12 Acres approximately Development Zone: Environmental Living Currently a bush block with power at the road. This conveniently located block of land in Meringo is only a short drive to beaches, Moruya Shopping Centre, Hospital and Supermarkets. Features: Access via a private road, gentle sloping 1.97 Hectares (approximately 4.8 acres) fully fenced, Environmental Zoning, quiet location, power runs past the property and best of all, you can hear the waves crashing at the nearby beaches. Phone Sam on 0478 004 088 for more information or an inspection. 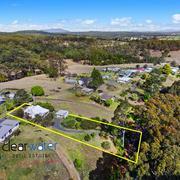 Lot 4 – SOLD - 1.72 HA. Zoned E4 Environmental Living, this gentle sloping block has road access, is partially cleared and comes with power and phone to the block. $380,000. Lot 5 – 1.1HA Zoned E4 Environmental Living, this gentle sloping block is for the nature lover, has road access, is partially cleared and comes with power and phone to the block. $380,000. "Meishana" - Superbly presented with style, this stunning property is perfectly positioned to soak up the spectacular valley views across to the distant blue hills. Entertain in style and privacy while relaxing with family and friends, or spend quality time enjoying this elevated 9980 m2 parcel of park-like land. * Five beautiful bedrooms all with generous built in robes plus study with a wall of shelves. * Expansive living and dining areas, featuring plenty of natural light and airflow. "Calliope" - Conveniently located within a short walk to Coila Lake, is this well presented single level family home with ocean and lake views.The home features three good sized bedrooms with the master at the rear of the home with its own walk in robe, ensuite, tv connection and a sliding door to access the private side patio. The other two bedrooms have built in robes. An open plan design with a new kitchen and appliances including a four burner gas stove, new dishwasher and a large pantry. Good level block with filtered water views if you build a second storey. 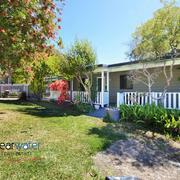 The Block has mature fruit trees and an established grape vine. 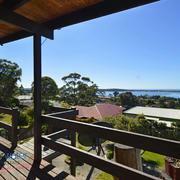 Located in a quiet street on the lake side of Tuross Head. A short stroll to the pathway that leads to the main beach, shopping village, cafés and Tuross Head Golf Club. For those into fishing, the lake is the place to go for bream, flathead, and prawns (in season). Vacant Land with Princes Highway frontage. This 1922 m2 parcel of land would suit a variety of uses due to its high traffic exposure. Corner block partially fenced. Power, phone and sewer to block. Zoned RU5. Access from Princes Highway and Laidley Avenue. Zoned RU5 possible land use – residence, dual occupancy, shop top residence, secondary dwelling, business premises, hotel/motel accommodation, recreation facility, service station etc. Zone RU5 Village. 1. Objectives of Zone. "Shakina" - A beautifully presented near new spacious home positioned in a quiet rural estate within an easy five minute drive to Moruya's main shopping centre, schools, approximately 10 minutes to beaches and the airport. This home has been designed with a functional and flexible floor plan that will appeal to larger families or for those wanting space. Phone Sam on 0478 004 088 to arrange an inspection. Street View: From the time you enter this property, with its landscaped gardens and overall presentation, you will realise the time and money spent to ensure the home’s tip-top condition. Laundry - Level 3: A good sized laundry with with extra storage and very easy access to the drying deck, from where stairs lead to landscaped gardens. Mezzanine – Level 5: A dedicated office, but could easily be an artist’s studio or craft room with its loads of storage. FOR RENT - Six Month Lease Available. Amazing Water Views. 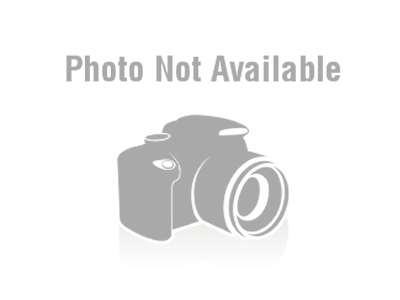 Recently Renovated Three Bedroom, Two Bathroom Home. Boating, Fishing, Canoeing Is Just Across The Road. Two Bedrooms, One Bathroom, Modern Kitchen, Patio, Fully Furnished, Use Of Amenities. Note: Strata Rules Apply. No Pets. (after an appraisal was presented to a potential vendor)..... Michelle wrote: If we decide to sell we will definately be coming to see you! Very impressed with the information you have provided and your prompt attention to our needs! Will definately be recommending you to anyone who is after any real estate services in the future! "Sam gave 100% to ensure the property was at it's best for prospective clients to view. She always gave plenty of notice for when clients would be entering the property, her help in selling my house is greatly appreciated"
From the time we enlisted Sam's help to sell the property she was awesome, great communication skills and her ability to deal with the difficulties involved in selling multiple tenanted properties was excellent. Her communication and attention to detail are highly recommended and I will not hesitate to engage Sam again to deal with our future property sales. Couldn't be happier. I would highly recommend Sam to anyone looking to buy property in her area. I have found her to be professional, friendly and helpful. Sam is a great agent that responded quickly to any queries and questions we had during settlement period. She has been very helpful and being a local Tuross Head resident she would always give us a good advice regarding local tradesmen, rent rates in the area etc. We are going to let her manage our property knowing that she will find a good tenant. If you are looking for a property to buy (or rent) on the South Coast I would highly recommend Sam. Sam was very professional..spot on the mark .. I could not have been happier ... very easy ... She comes highly recommended by me.